The scientific study of empathy has exploded in the past decade. Practically all of the relevant sciences — from various neuroscientific, psychological and sociological perspectives — are now vigorously participating in the emerging conversations about the nature of this essential, pro-social process. Empathy is also emerging as a critical topic in medical education and practice, in terms of its essential relevance for not only the patient – physician relationship and bed-side practice, but also for diverse psychiatric problems and syndromes that demonstrate a fundamental disordering of empathy, particularly conduct disorder/sociopathy and autistic spectrum disorders. Consistent with these multidisciplinary trends and interests, this volume reflects contributions from many disciplines and summarizes the impact of diverse empathy studies. It also discusses the perspectives of individuals participating in the scientific discussion and scholarship about this critical frontier topic. Contributions in the present volume range from detailed neuroscientific reviews of empathy concepts and processes, to a diversity of evolutionary and developmental perspectives looking at empathy in both phylogeny and ontogeny. Likewise, an examination of how helping and medical disciplines are impacted by such issues are included — a wide ranging and comprehensive list of topics that are typically not covered elsewhere in a single volume. In summary, this book covers diverse but related approaches to understanding empathy from evolutionary, developmental, sociological and clinical viewpoints across the life cycle. Various contributors from around the world merge scientific and practical viewpoints in depth to provide readers a comprehensive picture of this emerging field, ranging from basic scientific knowledge to practical medical perspectives. 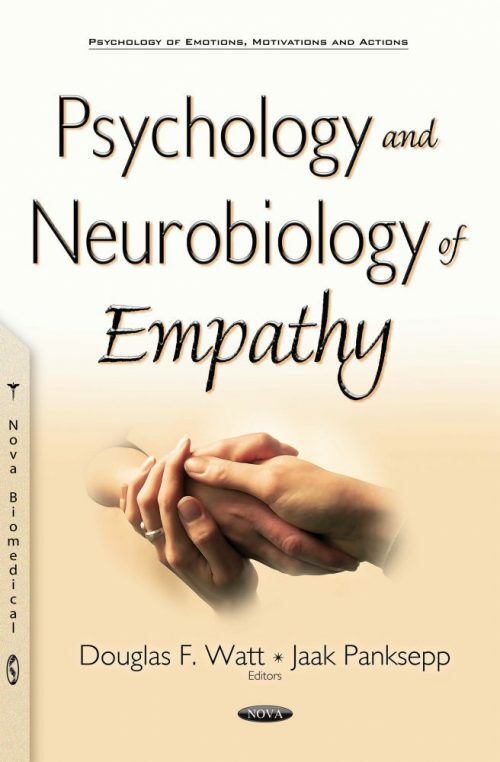 This book should be a valuable resource to those interested in the diverse facets of empathy, from advanced students in psychology and related fields, to educators, to various medical and healthcare professionals. It may appeal to anyone interested not only in scientific studies of empathy, but also those curious about how a deeper understanding of empathy might inform and illuminate problems related to our daily human social interactions and their vicissitudes. This book covers diverse but related approaches to understanding empathy from evolutionary, developmental, sociological and clinical viewpoints across the life cycle. Various contributors from around the world merge scientific and practical viewpoints, in depth, to provide readers a comprehensive picture of this emerging field ranging from basic scientific to practical medical perspectives. This book should be a valuable resource to those interested in the diverse facets of empathy, from advanced students in psychology and related fields, to educators to various medical and healthcare professionals. It may appeal to anyone interested not only in scientific studies of empathy, but also curious about how a deeper understanding of empathy might inform and illuminate every day practical problems related to our daily human social interactions and their vicissitudes. Educators and teachers, philosophers, neuroscientists, clinicians, and even historians and cultural anthropologists may find recent research in the multidisciplinary empathy sciences immediately relevant to their work and daily concerns.